Chrysler powered. Pic of actual motor. Well....let's try a front view showing the grill. What was the penalty for a wrong guess??? Didn't hear about that one...would explain the slow down on guesses though...Jetstar lose a pinky toe for wrong year?? 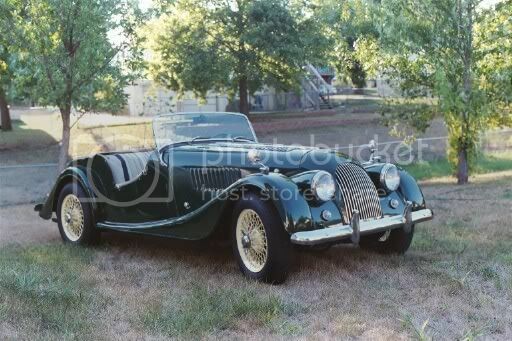 1958 Morgan Plus 4. 2 seat roadster. Last edited by LagoGarda; October 3rd at 10:14 AM. Close enough.. It's a '64 Plus 4, but there is virtually no difference during those model years. Your turn..
Last edited by CADster; October 3rd at 12:07 PM. it actually was a 1970. Last edited by LagoGarda; October 3rd at 01:29 PM. 1300VA, 1300VB, 1300VC, 1600VB (pictured) motors and the GS option but no GT. Last edited by LagoGarda; October 3rd at 02:00 PM. ill try to post one real quick. Last edited by CADster; October 3rd at 02:34 PM. Last edited by CADster; October 3rd at 06:03 PM. yep the grill looks Maserati-ish also but to small and stubby. but off to work we go so no searching for me today.